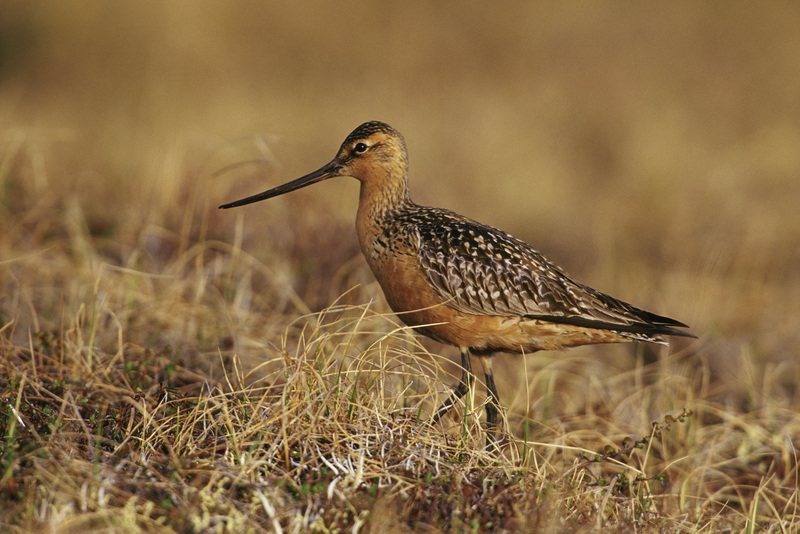 Did you know that in New Zealand people have special events to welcome back shorebirds called bar-tailed godwits each spring? Why? These birds are arriving from a migration that is mind blowing. The Long, Long Journey: The Godwit’s Amazing Migration by Sandra Markle and illustrated by Mia Posada describes the incredible nonstop journey of over 7,000 miles made by a godwit from the place where she hatches in Alaska all the way to the beaches of New Zealand. This marvelous picture book has it all. In addition to the compelling text by award-winning children’s author Sandra Markle, it has superb watercolor and torn paper collage illustrations by Mia Posada, and even a well-chosen font that looks hand-inked and contrasts beautifully against the pale skies of the scenes. The stars of the story are of course the fascinating birds themselves. Markle starts with a precocious chick hatching from an egg and manages to pack pertinent details about the birds’ habitat, diet, behaviors and even predators into a coherent and convincing story that culminates with migration. How do birds that have never made the trip before find the shores of New Zealand from so many miles away? How do they fly for over a week nonstop? It is truly amazing! The Long, Long Journey is a Junior Library Guild selection and was nominated in the Cybils Elementary and Middle Grade nonfiction category. Although it really is of general interest, it would be perfect for children interested in birds, nature, and also for a unit on geography of the Pacific. This book is as special as the birds it celebrates. Want to pair this nonfiction picture book with a fiction partner? Try Baba Didi and the Godwits Fly by Nicola Muir and illustrated by Annie Hayward (see my recent review) or other children’s books about bird migration at Science Books for Kids. Today’s round up is here at Wrapped in Foil. That is wonderful that there is a ceremony to honor the birds who have migrated! So amazing. Thanks for sharing this interesting book. Just saw on Twitter it is now a 2014 NSTA-CBC Outstanding Science Trade Book.